Tomorrow is the first day of Fall! Yayyyy! So of course all I have been thinking about is how ready I am to wear booties, scarves, vests & hats! 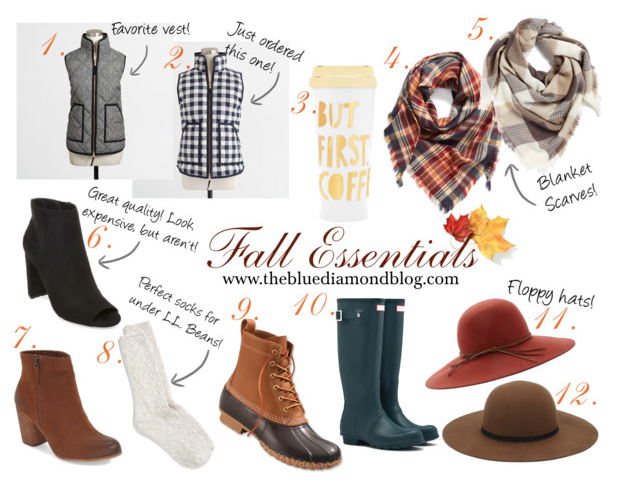 So I have rounded up some things that are must haves in my book! The forecast shows it is supposed to start cooling down this weekend and all next week. Lets hope they are right! !